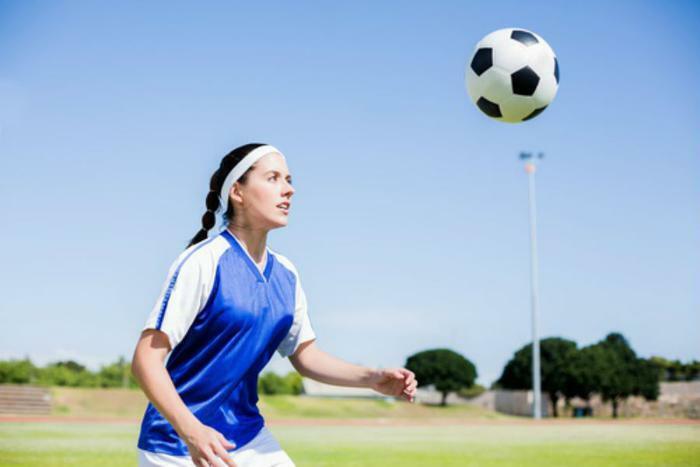 Recent reports have suggested that high school female athletes are more prone to concussions, a fact that many experts have been privy to for years. But a new study suggests that they may also experience symptoms differently and take longer to recover from these injuries. Dr. Mayumi Prins, a professor of neurosurgery at UCLA and director of the UCLA Brain Injury Research Center education program, says that relatively little research has focused exclusively on women and that her team’s work aims to change that. "Most of the research in the past has focused on males, and there's been little basic science research done on adolescents, females and concussions," Prins says, adding that this lack of study has led to many unanswered questions about why concussions affect women differently than men. During the study, the research team found several reasons that might explain these inconsistencies between the sexes. They say that females are more likely to suffer from hormonal issues after a concussion, have muscles in the neck that react differently after collisions, and are more likely to disclose concussion-related symptoms such as headaches, diminished social interaction, and depression when compared to men. Prins points out that while the majority of females will recover from concussion symptoms, there is a chance that these injuries could adversely affect development over a longer period of time. "If you break a foot and are in a cast, everyone sees that and understands," Prins says. "But if you have a head injury, people may just look at you and pick up on some different behaviors and say 'What's wrong with you?' That can produce some social alienation, particularly in female athletes." However, Prins also says that participation in sports and athletic activities can have several positive effects on development when young women stay safe, including improved body image, increased bone density, and psychological benefits. She advises parents to consider the relative risk of concussion when compared to other activities before pulling their child from sports. “There are other things besides concussion that children and young adults are at greater risk for,” she said.